Abhisarika Holidays, one of the most prominent Tour & Travel Agents in Guwahati, Assam provides impeccable tour experiences to tourists. 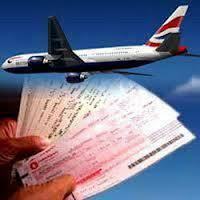 We have Ticket Booking Services for our clients to make their tours comfortable and hassle-free. We have two kinds of Ticket Booking Services which are Railway Ticket Booking and Airline Ticket Booking wherein you can either book a railway ticket or an airline ticket according to your convenience. You can choose from the widest range of options starting from Economy Class to Business Class tickets for flights and 3AC, 2AC to Normal Class for trains.